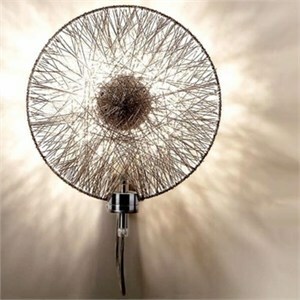 Stainless steel wire is wrapped around a round frame to form the diffuser. Reflectors shield direct view of the lamp. Dimensions 15"W X 7.1"Extension. Uses 1 X 150W 120V DC bayonet halogen lamp (not included).